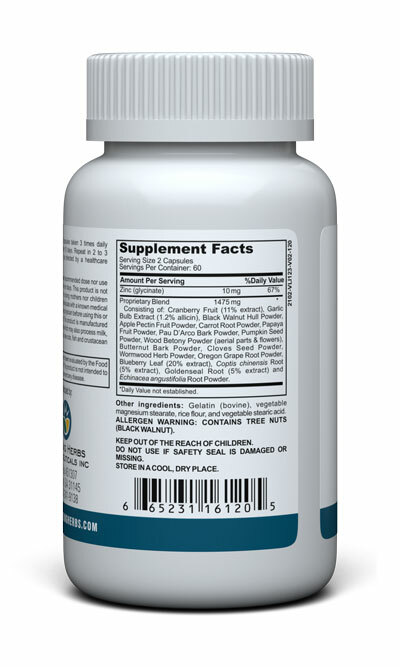 (120 Capsules) 30 Day Supply • Millions of people in the U.S. may be suffering from health problems caused by a condition of which they are completely unaware. These problems may caused by parasites--something which is most often associated with people living in third world countries but also affects Americans. A study published in "The American Journal of Tropical Medicine and Hygiene" revealed that 32% of a nationally representative sample of 2,896 people tested positive for parasites. One symptom is the affect of parasites on the organs in the body. Because parasites emit toxins that can over-work the liver and kidneys, organs may become sluggish leading to weight gain, fatigue and irritability. Certain herbs may help eliminate parasites in the body and reverse their ill effects. 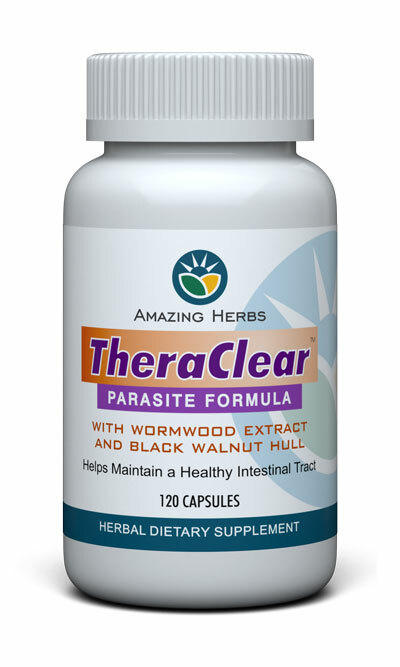 TheraClear includes these key herbs and other important nutrients in a formulation that is one of the strongest available. Suggested Use: As a dietary supplement for adults, take two (2) capsules with food three (3) times daily for ten (10) days. Repeat in two to three weeks if necessary. Do not exceed recommended dose nor use for a period of more than ten days. This product is not intended for pregnant or nursing mothers nor children under 18 years of age. Individuals with a known medical condition should consult a physician before using this or any dietary supplement.